Adam Q. Voyles is a founding partner of Lubel Voyles LLP in Houston, Texas and is licensed in both Texas and New York. He is graduate from Southern Methodist University and the University of Houston Law Center. Mr. Voyles was a President’s Scholar at the University of Houston Law Center. Mr. Voyles is an Associate Municipal Court Judge for the City of Hunters Creek Village. In 2014, Mr. Voyles obtained one of the top verdicts in the country according to Verdict Search in Munguia v. Big Lots Stores, Inc. 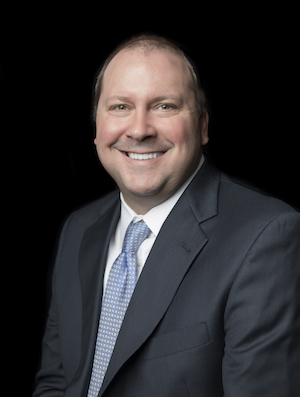 He has been named a Texas Super Lawyer and has been voted the Best Lawyer by the Memorial Examiner two years in a row. Mr. Voyles has jury experience both prosecuting and defending lawsuits and has obtained both judgments and settlements exceeding millions of dollars. Mr. Voyles has successfully prosecuted cases ranging from intellectual property and breach of contract cases to fatality cases involving explosions and defective products. Mr. Voyles was named to the steering committee in In re Nickelodeon Consumer Privacy Litigation Multi-District Litigation (MDL No. 2443) pending in the United States District Court for the District of New Jersey. Mr. Voyles has also successfully argued an appeal before the 5th Circuit upholding a jury verdict he obtained against the City of Lubbock in the City of Lubbock for retaliation under Title VII. Ellerbrook. v City of Lubbock, 2012 WL 851621 (5th Cir. 2012). Mr. Voyles currently represents former NFL players in the National Football League Players’ Concussion Injury Litigation (MDL 2323) and represents clients in the following multiple mass tort and class action matters: DePuy Orthopaedics, Inc. ASR Hip Implant Products Liability Litigation (MDL 2197) (N.D. OH); Biomet M2A Magnum Hip Implant Products Liability Litigation (MDL 2391) (N.D. IN); In re: Ethicon, Inc., Pelvic Repair System Products Liability Litigation (S.D. W.V. ); In re: American Medical Systems, Inc., Pelvic Repair System Products Liability Litigation (S.D. W.V. ); In re: Boston Scientific Corp. Pelvic Repair System Products Liability Litigation (S.D. W.V.). Mr. Voyles’ speaking engagements include guest appearances on FOX Network’s FOX News Live, KPRC Local 2, Court TV’s Catherine Crier Live, and CNBC’s Wake-Up Call. Mr Voyles is a member of multiple state and appellate bar associations in addition to being Texas Bar Foundation Fellow.